There is no such thing as “gone” when someone can live on in your memories. 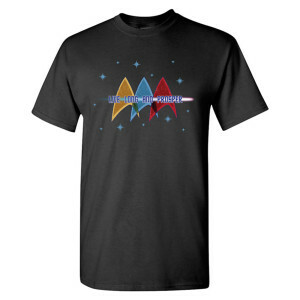 This Star Trek Live Long and Prosper T-Shirt is great for any fan of the show. 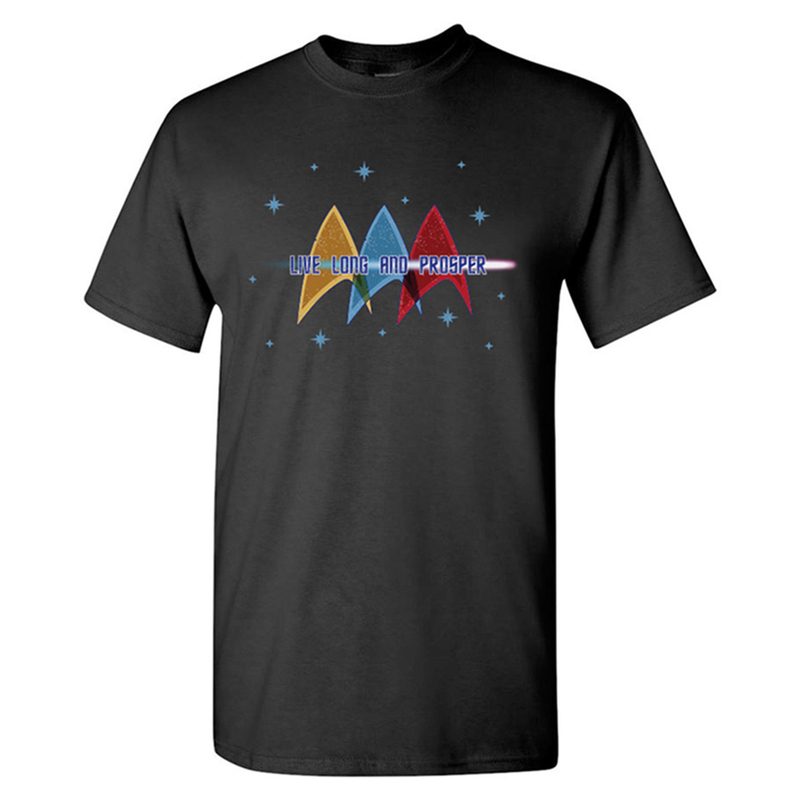 Made of 100% cotton this t-shirt is great to wear while rewatching episodes of Star Trek. shipping was prompt and shirt was so much nicer than the picture! 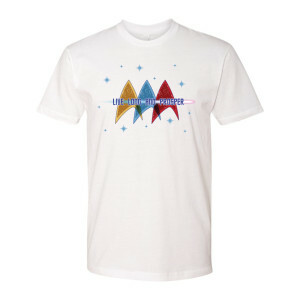 Nice Star Trek T-Shirt!! Love the black color and the symbols in color. Shirt was ordered as a Xmas gift for me brother in law. It arrived as promised and in great condition. I wrapped it up and I’m sure he’ll love it! 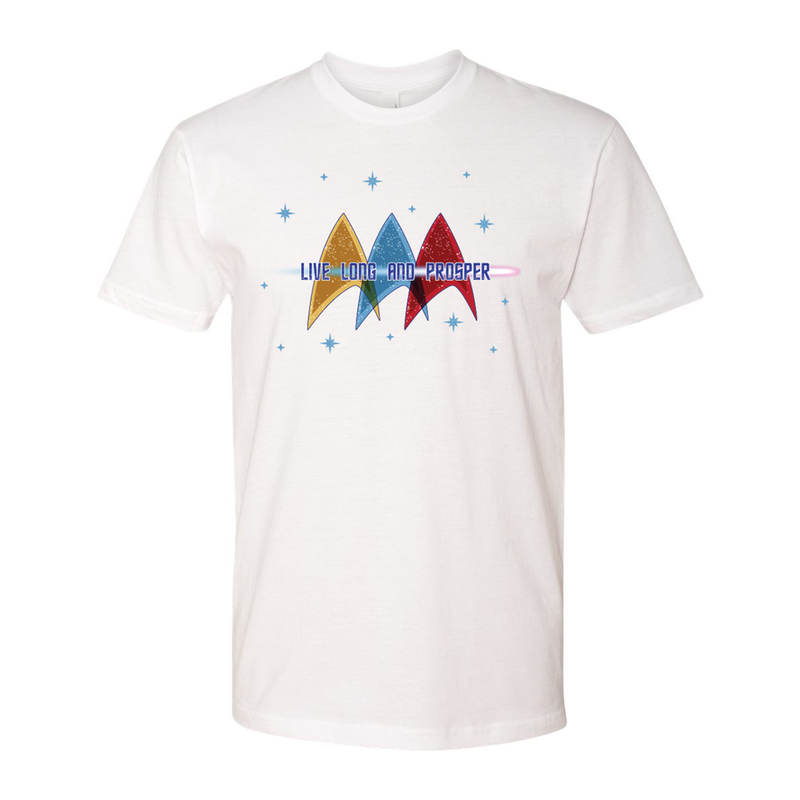 I love the shirt and it is very Trekkish. SUPER! OXOXOX! Was purchased for husband &amp; adult son....both are excited to wear them at the convention in Vegas.